Locksmiths these days are usually cheap because of the fact that the services they provide are pretty common and do not require as much effort or any expensive process to get done. These include key repair, lock repair and key copying. Yet, there are indeed a few services which are expensive like changing a key of a car with an electronic chip or replacing all the locks of a house. Services like these come to use more often than expected and can cost you way more than you need to spend. 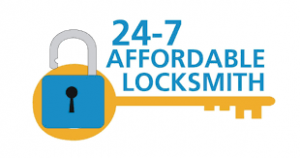 This blog will discuss the ways with which you can find an affordable locksmith who can provide you your desired services in a reasonable price. You should keep in mind that locksmiths usually offer services which seem valuable and significant, mostly because of emergency situations, and thus any price for them seems fair. For instance, if you have no idea how much do services like repairing a car’s ignition because of a broken key or the installation of keyless locks with finger print technology cost, then you are at a high risk of paying more money than required. Most people don’t even know these kinds of services exist until they fall upon them, thus suddenly giving the illusion of higher value. Moreover, any service in an emergency has greater value and will definitely cost more. Locksmiths set different criteria to charge some additional fees which include trip charges to drive to the location for an emergency service and charges for after-hour calls. The best practice to save yourself from such a situation is to book a reliable locksmith in advance for emergency services so that you can casually pre-decide an affordable cost of service needed in emergencies. In order to find a locksmith which can give you your desired service in an affordable range, you should interview a number of locksmiths. Basically, list down the names of cheap locksmith services in your town and contact them one by one beforehand. Waiting for an emergency to occur will obviously do more harm than good. Select the names of 2 or 3 cheapest yet reliable locksmiths and interview them in person to check whether they can provide all the services required at your home and can also get to you in an emergency situation. When you select a locksmith which is affordable and can fulfill your needs, the next step is to check whether he is capable of doing the work with as much expertise as he promises. For this, the best way to check it out is to contact his customers which had already availed his service once or twice. Ask them about their experience with him and check whether they want to work with him in the future or not. Do emergency services involve extra charges? Please list all services you provide and prices for those services. These question swill definitely help you to find a cheapest and best locksmith for yourself.